It has been awhile! The holidays are just around the corner so I thought I would provide you something super sweet to try. And it is extra boozy in case you need to self-medicate while spending quality time with the fam or while watching your favorite team lose. I will be with someone else’s family which is certainly less stressful. In fact, it is incredibly entertaining! I hope you have some fun plans. I found this pairing’s candy at Candy Village, a store in a local mall. Unlike my August splurge in Indianapolis, this was a fairly reserved grab bag. I bought a variety of chocolates filled with delectables. I however screwed up the purchase so instead of a champagne filled chocolate I got an espresso bean one. Oh well! 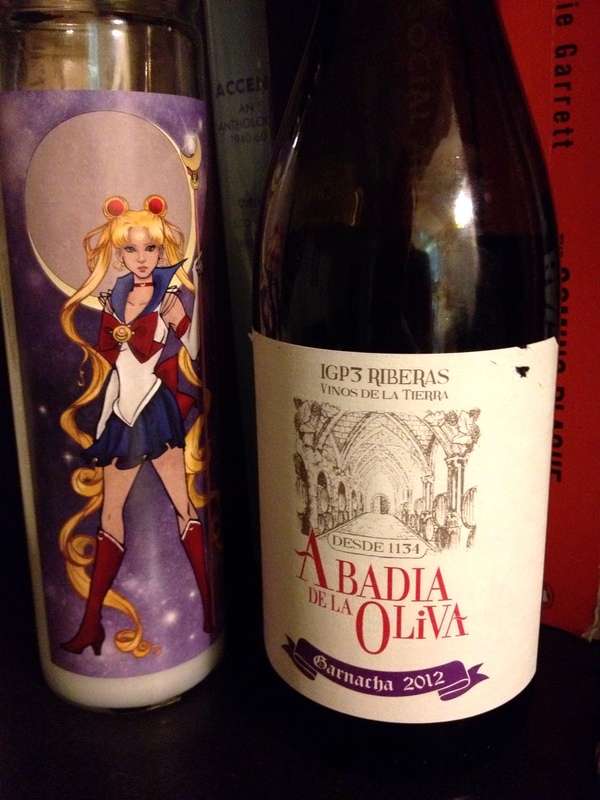 For this pairing, I picked up a Layer Cake Garnacha. Layer Cake has a distinct chocolate flavor and their reds are incredibly rich. Instead of doing opposites, I wanted to draw like-to-like to change my typical approach. Since every chocolate was different, I had to be able to at least match one flavor note from the wine to the chocolate….and so I went with chocolate. As predicted, the chocolate note comes surging through on the first sip and then smoothes out into a raspberry tang. It is slightly unexpected and almost like biting into a fruit filled chocolate. I love Layer Cake for this experience. It is a fairly affordable wine that truly is its own meal. 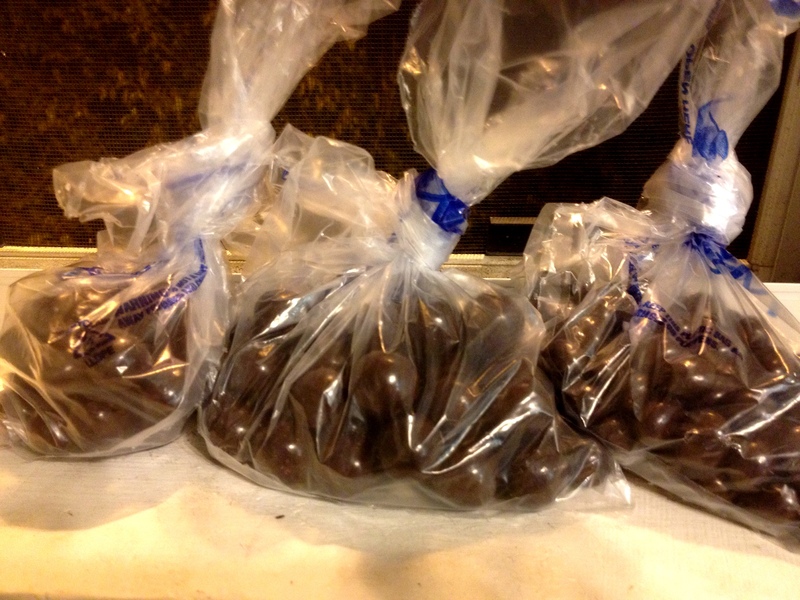 The chocolate has a firm crunchy shell (and I didn’t even freeze them!) and has little flavor. The liquor is more sweet than sharp. When the wine and liquor filling meet, the wine is very unhappy and sour. But if you sip after you eat the chocolate, it is a double berry delight. Yum. The shell is again fairly flavorless and crunchy. The pure rum is rum alright and I prefer it over the blackberry. But when the rum and liquor meet the wine goes sour. Sipping after eating the chocolate didn’t add anything either. This was my favorite pair. There is a slight minor throw of flavor when the wine hits the coffee bean but it is mostly pleasant. 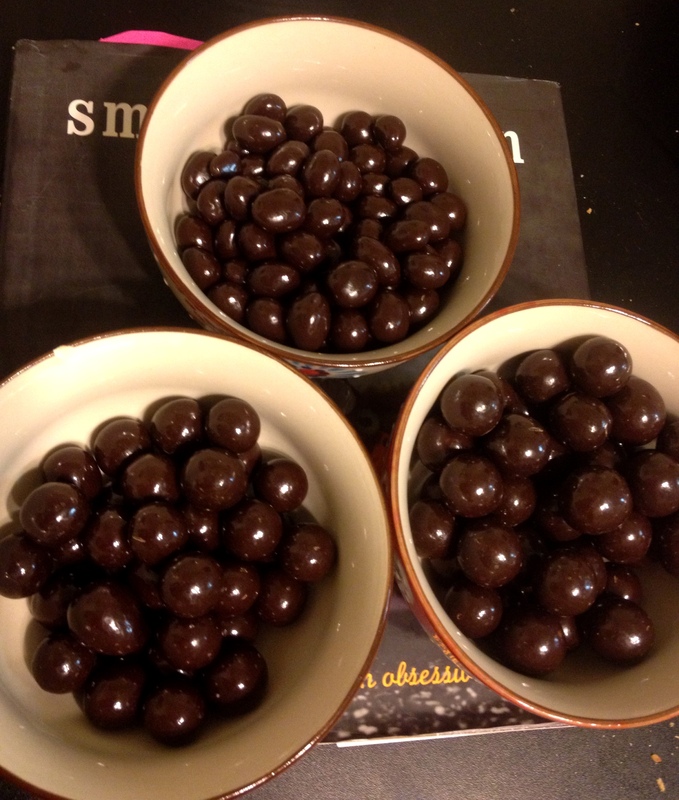 After eating the chocolate, the coffee-chocolate flavors layer nicely with the wine. Well the espresso bean bought on accident edited up being the star player! I will have to return to try more of the offerings though honestly the chocolates weren’t that great. Next pair will return to this blogs pure, candy roots! 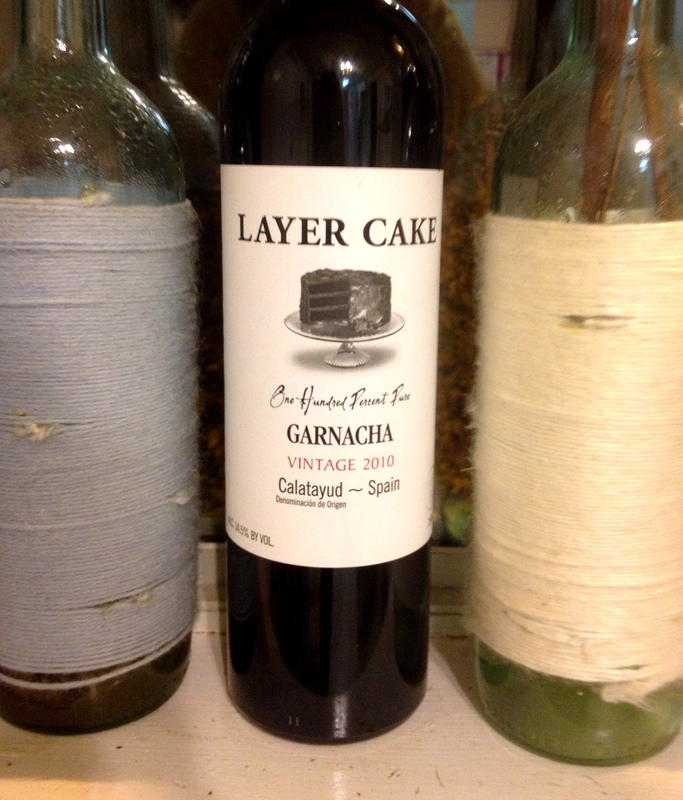 Posted in Garnacha and tagged Espresso, Layer Cake, Wine. Bookmark the permalink. Yes, I didn’t make a Halloween post which is a bit terrible. Or is it? Because I seem to see quite a few wannabes around Halloween touting supposed candy-pairing knowledge. I guess I felt a bit disgruntled and frankly, I didn’t want to look so unoriginal. I do this year ’round so hmph. Anyway, thanks for being my loyal followers. Annnnd you might just question that loyalty with this pair! Blech. Blech. Blech. So who wants to get negative? Getting negative is one of my best traits, so lets hop to it! I picked the wine first. I only have gummy candy to choose from at the moment (besides some chocolate I’m saving for a later post), so I chose the red because that is my new obsession. Ever since my red-wine gummy breakthrough, I go for the red. 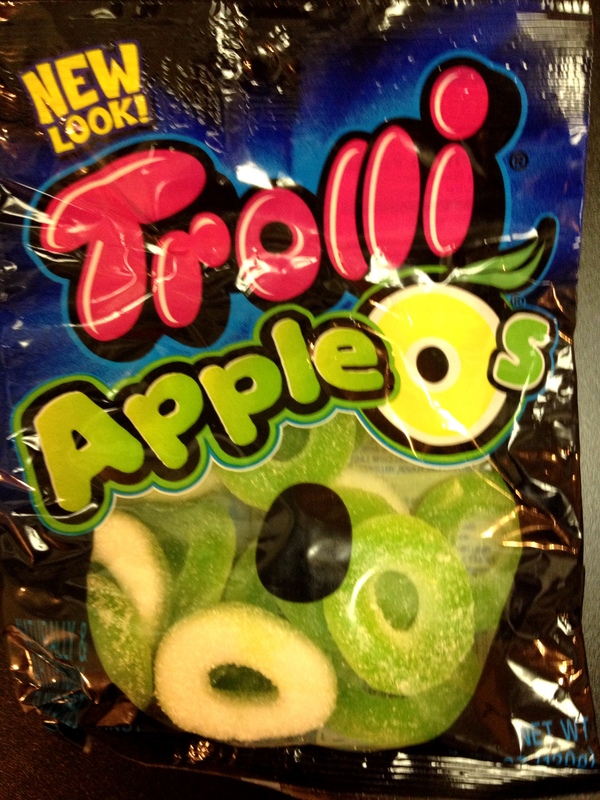 Out of all my choices, I got the Apple O’s because I imagined their sweet-tartness balancing out the granacha. In my experience, a granacha is not too fruity or sweet, so I did not think the candy would throw the flavors. I did not like this wine. The tannins overpower the taste buds and only the most bitter flavor notes survive (for example, an unripe blackberry…not tasty). It was like biting into something not quite ripe, like an apple that was picked too soon. My lips puckered and not in a good way. Dear manufacturers of this wine: pump the breaks on the tannins. Pump. The. Breaks. If we want to be technical, this pairing was good. But we are being negative! 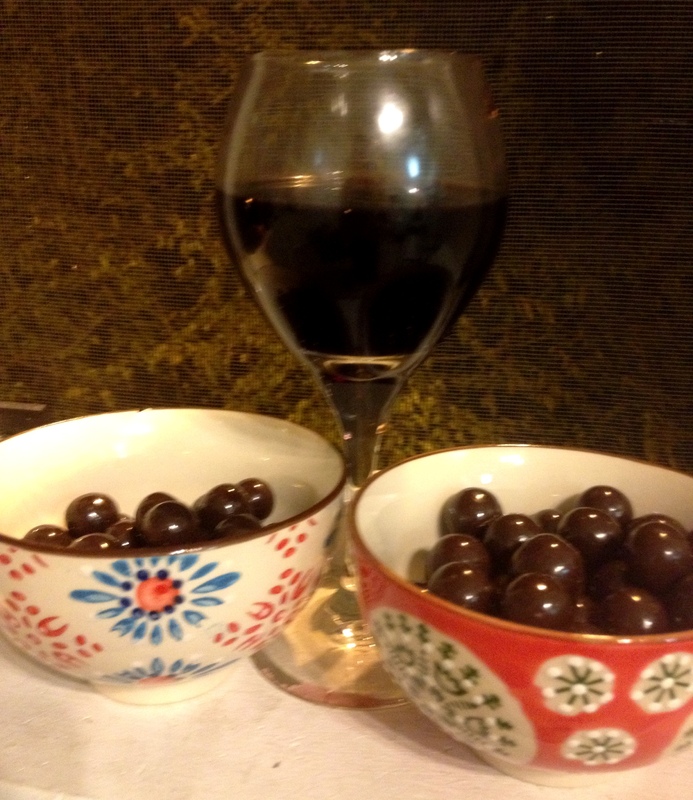 The candy mellowed out the tannins and made the wine much smoother to drink. But the candy needs to be in your mouth to help. If you swallow the candy then boom, tannins. Too many tannins. And ultimately, I don’t want to help the wines I pair….I want to enhance an already great wine! This isn’t a buddy I am helping out with math homework. I don’t owe this wine any favors! Anyway…this is getting too personal. I am going to put a little more thought into these pairs. I have this wine subscription, but I am relying too much on the wines I get through that. 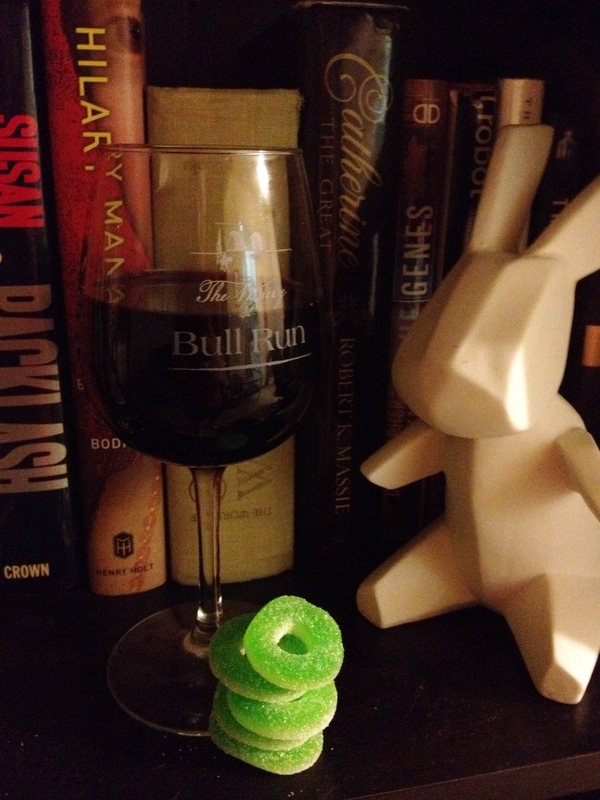 Instead of the exploration and the puzzle, I just grab a wine from my subscription and one of my many candies I keep around and meh….that’s not as fun! This blog and I need to go back to the early years and relearn what we loved about each other. This got too personal again.